For a Cooper City Personal Injury Attorney you can count on call Robert E. Gluck at your earliest convenience. 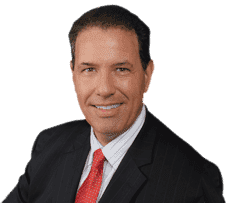 Robert E. Gluck became a lawyer in 1989 and has since then represented countless of injured clients with cases similar in nature to yours. Do not wait to call your personal injury attorney Robert E. Gluck. It is very important that you contact Robert E. Gluck as soon as possible after your accident. An injury could result from any type of accident such as a slip and fall, falling on someone's property, using a damaged product, or from an automobile accident. Cooper City Personal Injury Attorney, Robert E. Gluck, will protect your legal rights and serve as powerful representation on your behalf. He will work hard to get you the settlement that you deserve. Before Robert E. Gluck can launch a full investigation into your case he will have to prove negligence. When a reasonable person fails to follow a standard level of care, and someone gets hurt in the process that is negligence. Once Robert E. Gluck finds evidence of negligence and proves it, he will launch your case and the guilty party will be held responsible for your medical expenses. Hiring a Cooper City Personal Injury Attorney such as Robert E. Gluck can impact the outcome of your case. Research indicates when an injured person has legal representation, the chances of winning a case are much higher. Robert E. Gluck will see to it that you are treated with respect at all times. He will provide you with emotional support and guidance from the beginning of your case until the end. You will be at a huge advantage with Robert E. Gluck as your attorney. Your Cooper City Personal Injury Attorney, Robert E. Gluck, will visit the scene of your accident and take pictures. He will gather evidence and secure video footage. Robert E. Gluck will speak to your witnesses and obtain witness statements from them. He will fight aggressively for your legal rights to try to get you the highest settlement possible. Robert E. Gluck will guide you every step of the way, and answer all of your questions while providing you with the legal guidance that you need.